If you are an e-commerce store owner, you must have an idea about Shopify. Well, it is a platform that helps every business person. 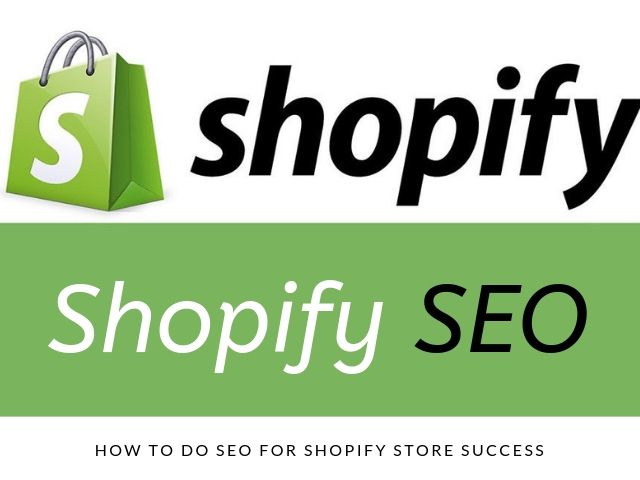 Scroll down the article to know more about the SEO for Shopify store. 1. Firstly you have to organize your page. It is the most important step in SEO. You have to make customers spend more time on your website. It is possible only when they find your website quickly. You have to develop a creative page. In this way, you will get good customer reviews and good search engine ranking. Don’t insert too much in your website. You will be in a better situation if you have a simpler situation. You have to make your site customer friendly. Do include ‘about page’ and ‘contact page’ on your site. It will increase your credibility and loyalty. Make sure you satisfy your customers. You will get good search engine ranking if you improve your user experience. The best is to increase the website’s loading speed. There are multiple ways to do this. Get rid of all unnecessary apps. Many experts suggest people use responsive website designs. It will give a surprising look to your website. You should use responsive sites if you want to get a good amount of visitors. 2. Secondly, you have to select various right keywords. Use them properly to invite more people to your website. Take care of the expectations of your users. Think from the point of view of your users. Once you arrange all the keywords, plan a particular structure of your website. You have to insert your keywords on your pages. Prioritize all the popular pages of your website. It will include your homepage. Choose those pages that will generate good visitors. You will experience higher conversion rates. You have to optimize your title tags and Meta descriptions. For this, you have to develop content for your website. Your content should include keywords. 3. You have to add backlinks to your website. Your SEO depends on it. You can take help from your suppliers. You can send them the request mail. You can ask your influencers to help you. The crowd believes them. So, try to get backlinks through them. You will be suggested to take aid from mention.com. It is a good platform. You can do a bit of research work. What you have to do is to simply find out the broken links of your website. And afterward, you have to repair them. 4. You have to develop content for your website. It is the most powerful tool in the whole marketing process. Your product description should be very engaging and attractive. Your content should be so strong that you get more customers. You can use this tactic to take backlinks as well. Devote time and energy to develop original content. Your content should be unique and plagiarism free. This will satisfy your users. You should know what kind of content you want to have. Your content should contain answers to all the questions that your customers may ask. Shopify SEO Guide – How to Get Good Rank? Search engines give importance to the websites that are secured. The websites that are not secured don’t get preference. It warns visitors before they can enter the website. As a result, many visitors lose their trust. So you should ensure the safety of your users. You should use SSL i.e. secure socket layer. You have to go to your Shopify dashboard. Go to the sales channel and then click on the online store. There you can activate your SSL. You should definitely register your site at various platforms like Google Search Console and Bing Webmaster Tools. This is the one big suggestion that every SEO expert gives. It helps in getting good conversion rates and visitors. Both of them are amazing search engines. So, when you register your website, you ensure that more people go through it. But the only condition is that you have to register carefully. You have to register both your secured and unsecured versions. Every search engine takes into consideration the page speed. On the basis of it, it ranks various websites. So, you should pay attention to the speed of your website. You have to ensure that the page gets loaded quickly. You should reduce the image size. You should use external scripts as less as you can. Don’t use too many fonts on your site. It is the most important element of a web page. It is because every search engines find it on every page. If you want to get a good ranking, you have to assign a title to your webpage. It is the page title that makes the website popular. But make sure that the titles are not vague in nature. Also, do start the title with your keyword. Try to have words that are commonly used by customers while searching. It doesn’t look good. Users may avoid it. Users may find it difficult to read your description. Even search engines may face the problem. Many people don’t change their headings. They will either change the font size or font of the text. But it should not happen. You should properly check your content before uploading it. Having Meta descriptions will not be enough. You need to have an eye-catchy Meta description on your webpage. They actually invite more customers to click on your website. With a good Meta description, you will definitely get good CTRs i.e. click-through rates. Not be more than 300 characters. In many cases, it is said that it should have only 160 characters. Should be simple, clear and genuine. In order to get a good ranking, you should use good URLs. And they should have a simple structure. Try to have clean URLs that are clear. It will be better if you make it shorter and simpler. This ends up impressing Google. And you will get good search engine ranking. Every page on the website needs to be added with Meta tags. It is important for SEO. The meta description is a series of 160 characters. In the absence of proper Meta description, the website uses the first 160 characters of the website. It happens because of the default settings. It is a major mistake as the page ranking depends on Meta description. You have to go to the “Edit website SEO” option. There you can do all the necessary changes. Avoid having the default setting. It will improve your search engine ranking. It will also enhance the user experience. The logo plays a very important role in the marketing of a product. Its presence helps the company to make many consumers. Its absence spoils everything. Many websites don’t use any logo. It is a blunder. No logo means no branding. You should design your logo creatively. Even if you launch your website on a good platform, the absence of a logo will spoil everything. The logo is important for you so that your people can recognize your product. Your brand will get a good amount of customers. Have a beautifully and uniquely designed logo. Many people underestimate the power of ‘about us’ page. It is the most important page of the website. Every reader or visitor visits that page. You are been told that, do include the introduction page on your website. You should tell your customers about your business. It should highlight everything about you. Don’t forget to write about your mission and vision. It helps you to develop an image in the minds of your people. Try to win the trust and loyalty of your customers. You can do this by adding your address and contact details. Every website uses newsletter forms to get subscribers. You should also use it. But don’t mistake by making it complicated. It should be user-friendly. It will be suggested to you to create separate lists for separate customers. If you don’t use your newsletters, you are committing the mistake. Newsletter forms are given to customers so that they can be tracked in the future. You should use your forms to capture your customers again. Shopify has limited options for checkout pages. So you may be in trouble if your check out page is inefficient. You can check your page as a customer. You will get to know its working. Also, you should keep the look of your checkout page as same as other pages. It will be better if you keep the font size the same. It should not appear like it is different. Be careful. It becomes very difficult to choose the best font size. So you should select some 2-3 font sizes. You have to choose the font size that suits your website. There are so many options now. You can use them to create a variety. You can use features like letter spacing, thin, bold, underline, etc. Many website owners use different fonts on a different page. Don’t do this. You should use 1-2 fonts. It will look simple and systematic. In today’s world, there are numerous payment options available. Customer may use any of it. Your website should have too many payment options. It will improve the value of your store. All in all, you have to ensure the complete satisfaction of your people. You will lose many customers in the absence of multiple payment options. It is because your customers may leave your website on the account of payment issues. When you give multiple payment options to customers, you build their confidence. You will be amazed to see the good conversion rates. The present-day customer actively uses mobile apps. He expects every website to have its own app. So, don’t hurt your customers by not having a mobile app. You have to engage your customers. You should develop your own mobile app. You have to do tactics so that your mobile traffic gets improved. Having a mobile app will make people do more and more shopping. You will be suggested to launch your mobile application. It will be a good help to your online shop. It is obvious that everyone wants a grand opening of the website. You should also prepare for it. But don’t forget to have a ‘soft launch’ of your website. You have to organize an event where you can invite only a few people. You have to tell about your products to them. This will be a very helpful step. You will get their feedback. And it will help you when you will organize a grand event. It will be a sort of advertisement for your website.